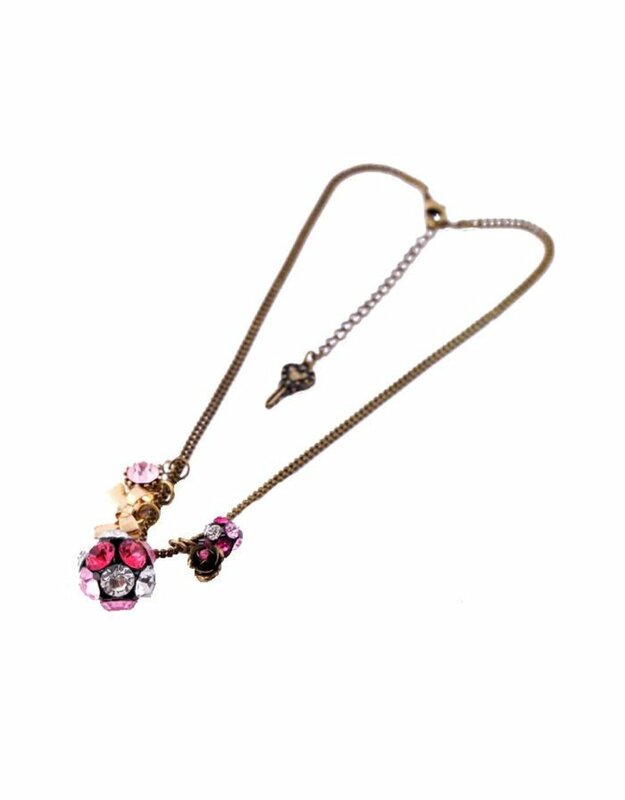 Sparkling like a dancehall ballroom, this necklace has a pleasing collection of trinkets-a wee silver heart, a pinky jewel, a gold bow, a jeweled rose, a pink and white ball and the main attraction, a bigger pink ball! 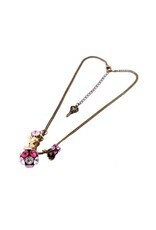 Situated on a double ball chain in a burnished gold tone, you'll be catching eyes wherever you go! 16" chain with a 3" extender, also with its bit of flare--a tiny key. Lovely!